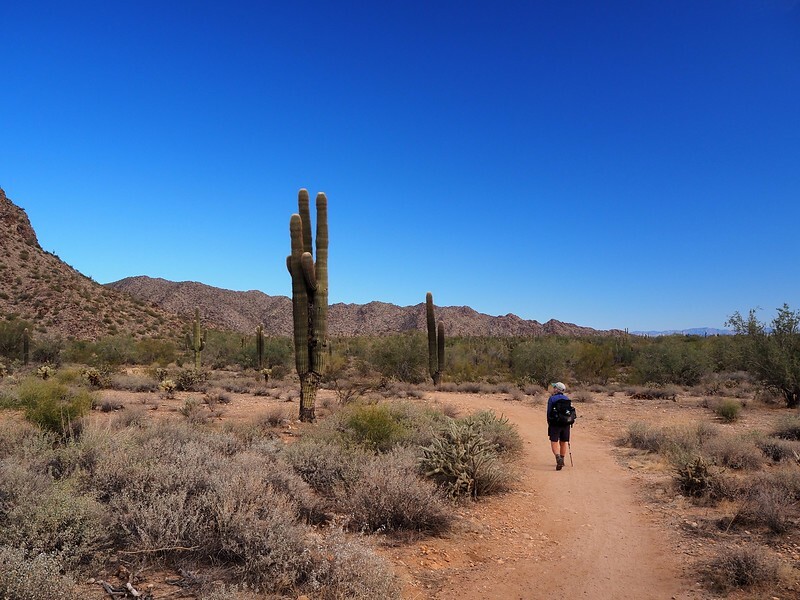 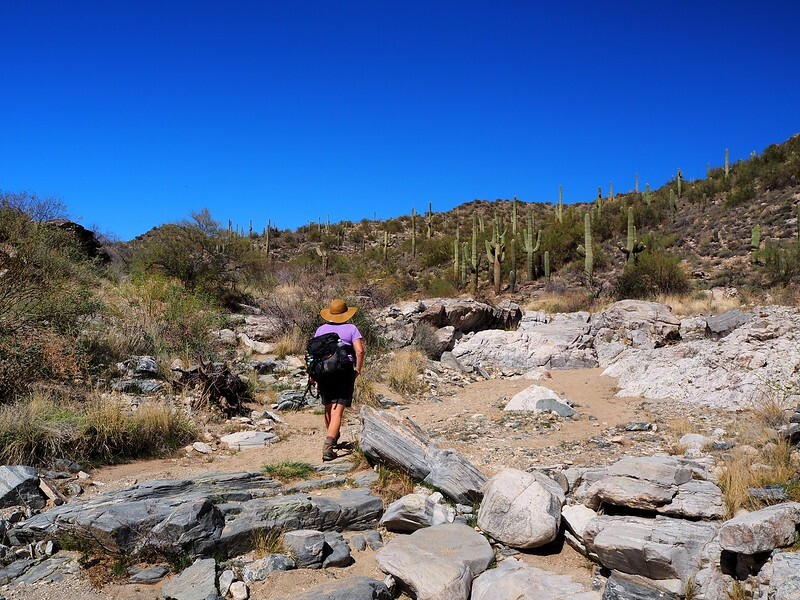 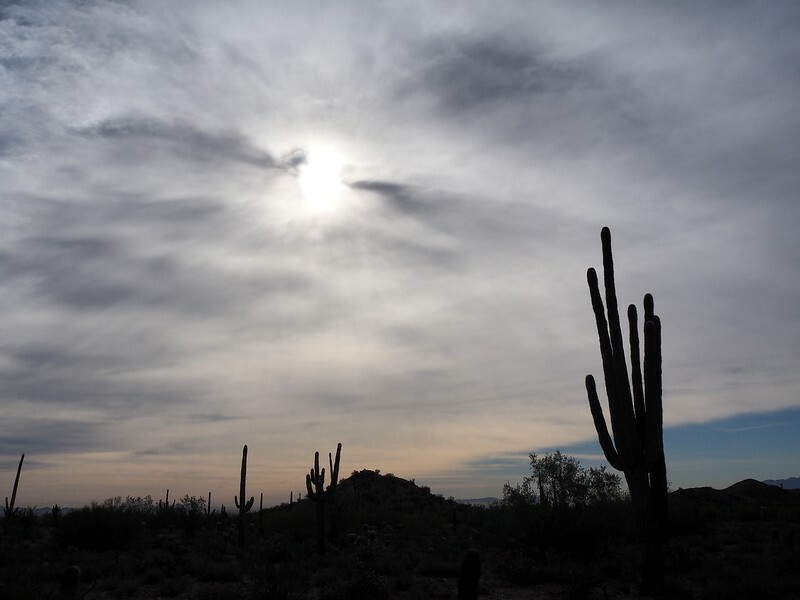 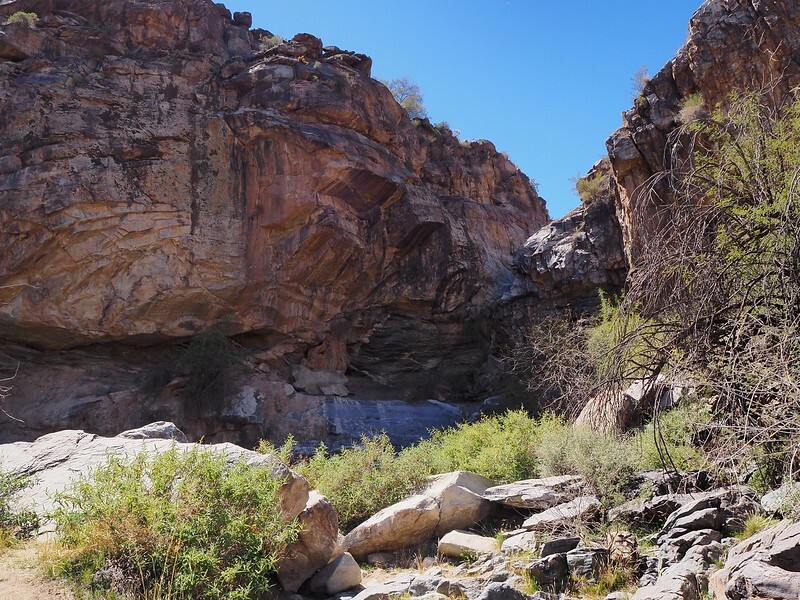 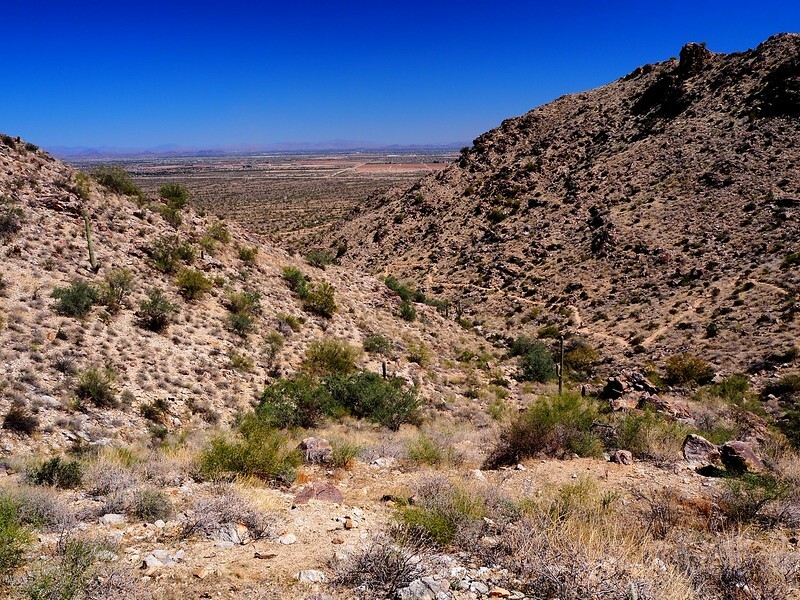 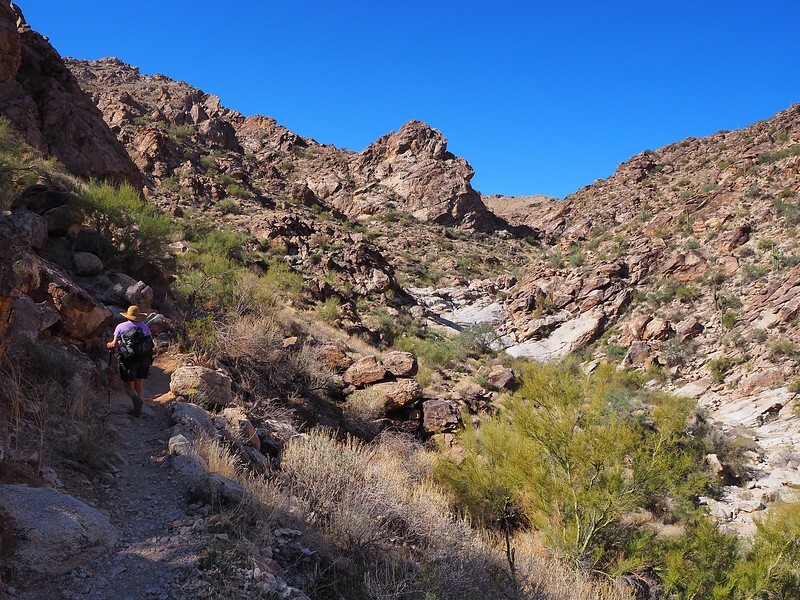 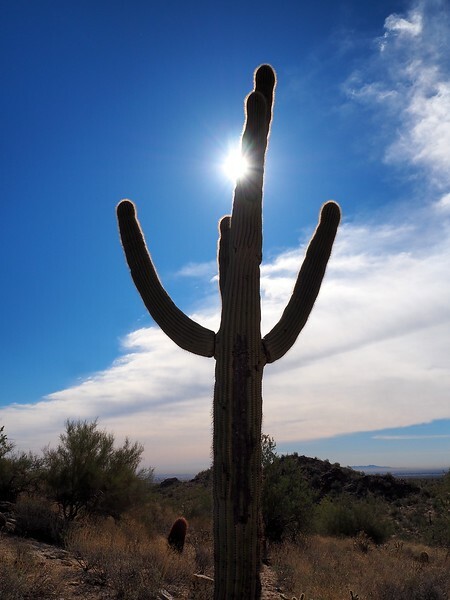 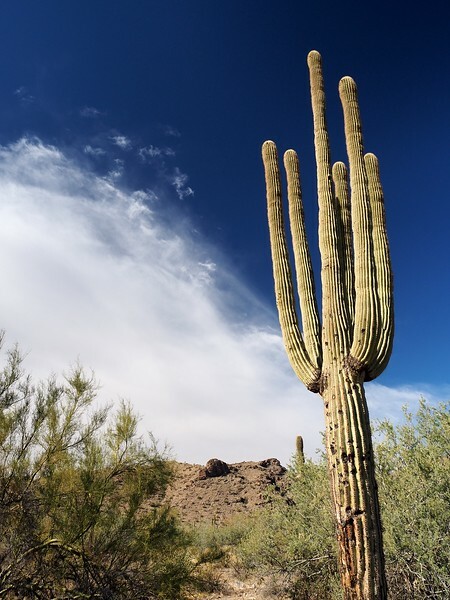 Our first hike was the Ford Canyon Loop in White Tank Mountain Regional Park immediately west of Phoenix. 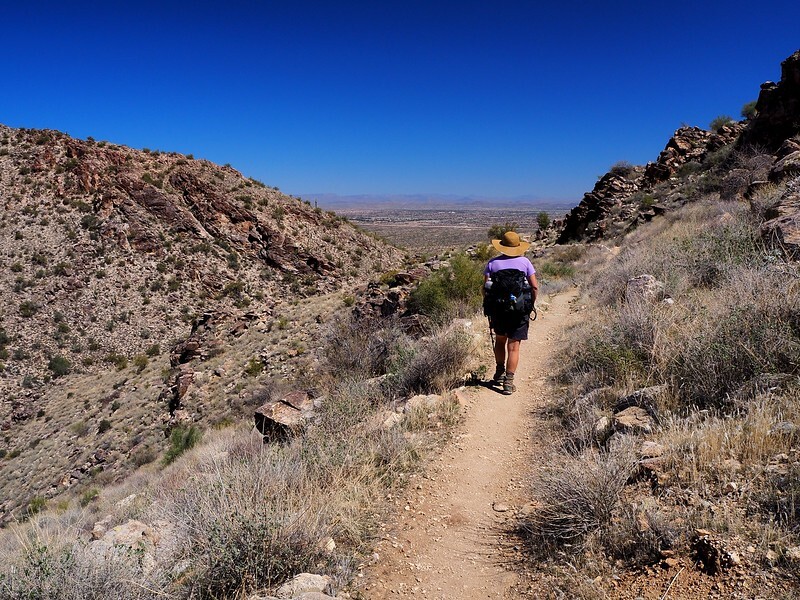 We started from the Waddell Trailhead and took the Waddell Trail north from there to its junction with the Ford Canyon Trail. 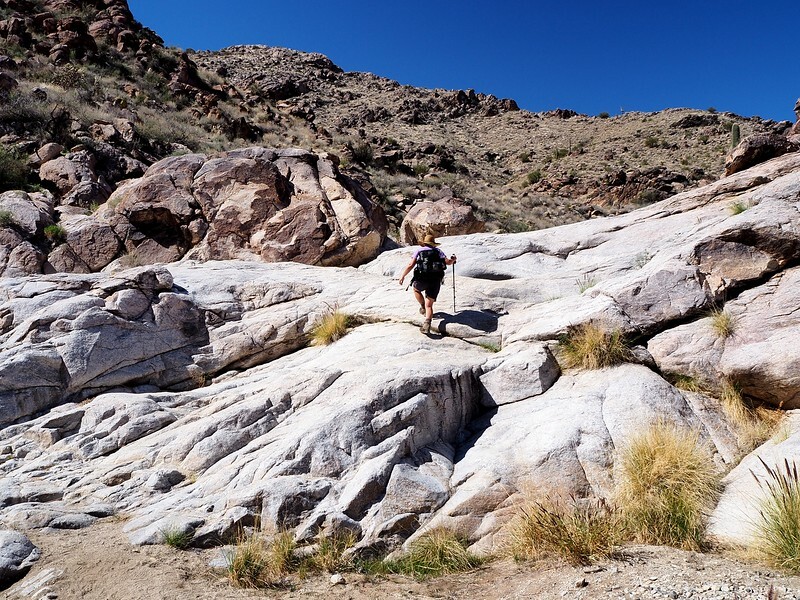 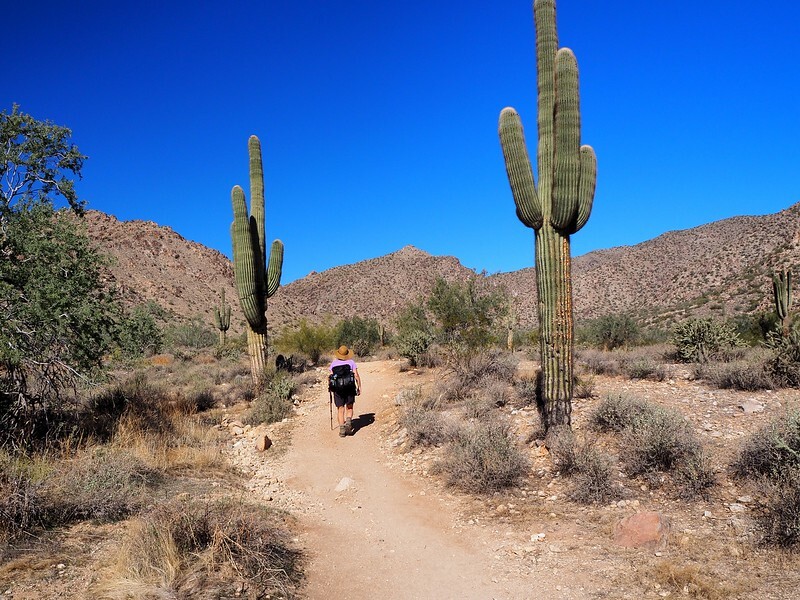 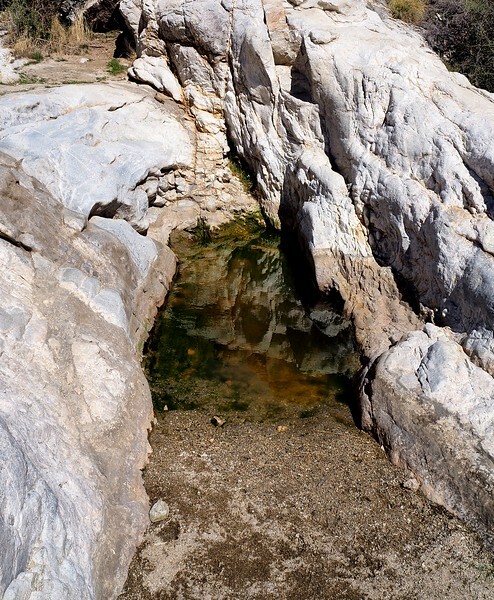 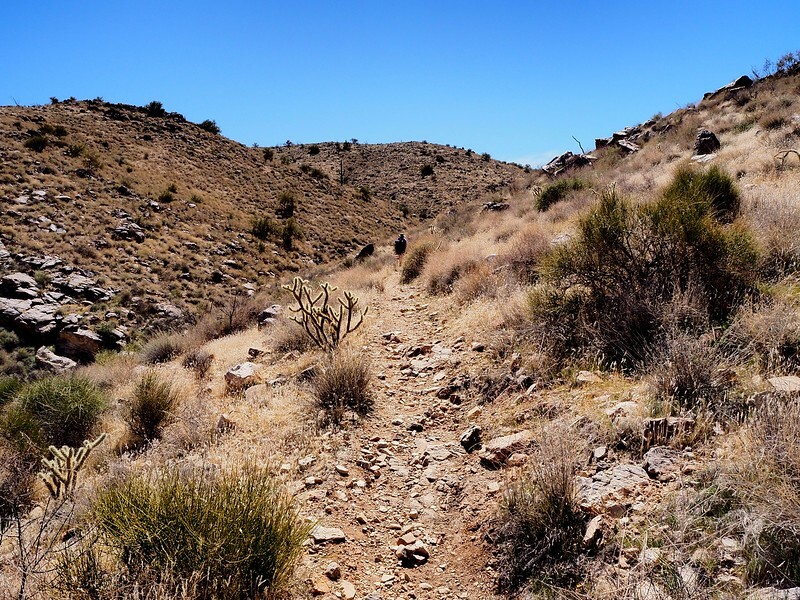 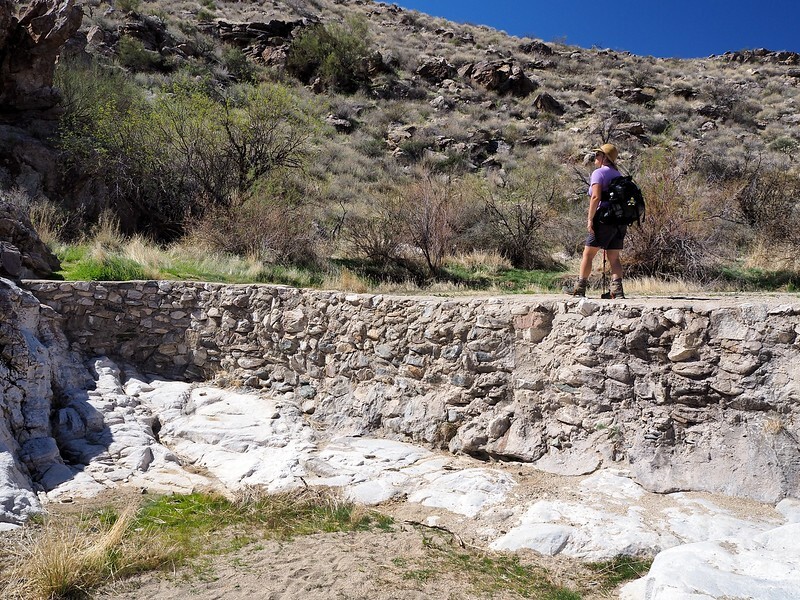 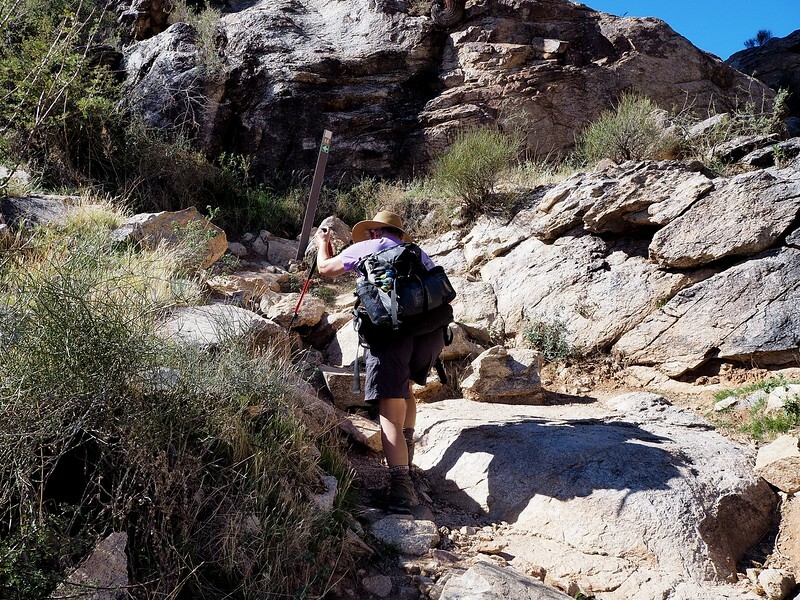 We followed that trail up Ford Canyon, through some interesting rocky sections and past an old dam, to a saddle at 2,800 feet and then down to a junction with the Willow Canyon Trail. 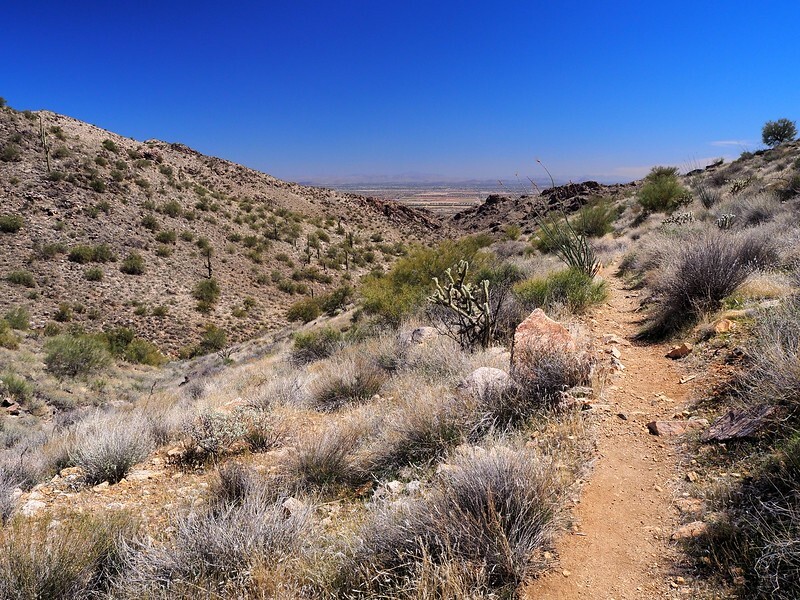 That trail took us down, with a short side-trip to a huge pour-off, to a junction with the Mesquite Canyon Trail. 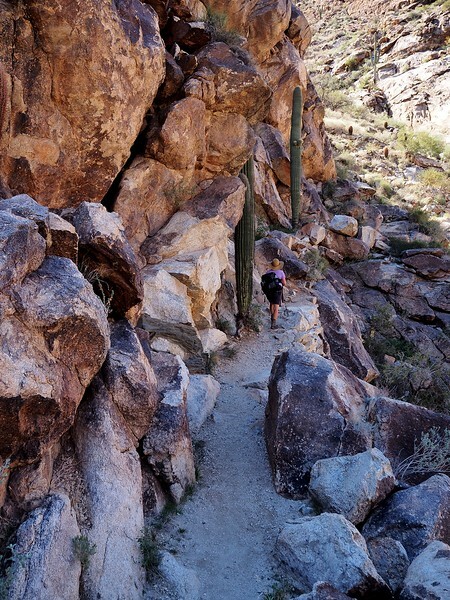 We followed that trail down to the trailhead. 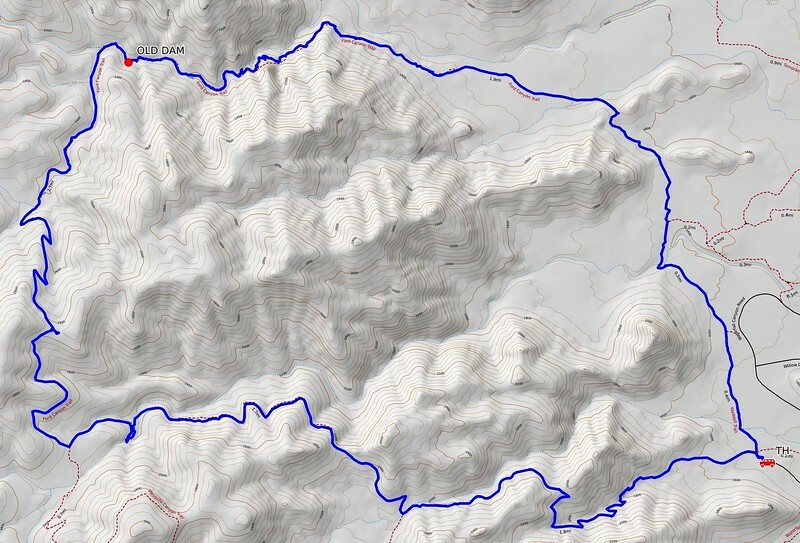 Overall, 9.5 miles with 1,500 feet of elevation gain.